May 12athon – Rocked that Bi-Curious challenge! | Run. Drink. Live. ← Healthy Banana Cookies – It cannot be any simpler than this! May 12athon – Rocked that Bi-Curious challenge! Heh Heh Heh. I am bad. I thought it was a catchy title. What can I say? Well, it’s May 12th and that means time to get out there and get some miles in for the Stet That Run’s 12athon Virtual Run Challenge. I am happy to say that not only did I get my 6 miles as required for the JV team, but I also got my limit of Bonus Challenges in today as well. Vanilla miles of the past months be damned. Naturalist: Thanks to our wonderful 12athon race director Iris, and her invaluable advice, I am heading towards minimalist shoes. Unfortunately, my LRS did not have any of the shoes I actually wanted to try in my size (9.5) I tried for 3 different models of Merrells and 2 models of New Balance with 0mm drop. Actually, every barefoot type shoe I asked for was not in stock. *cue scream* thank you giant running shoe chain store! 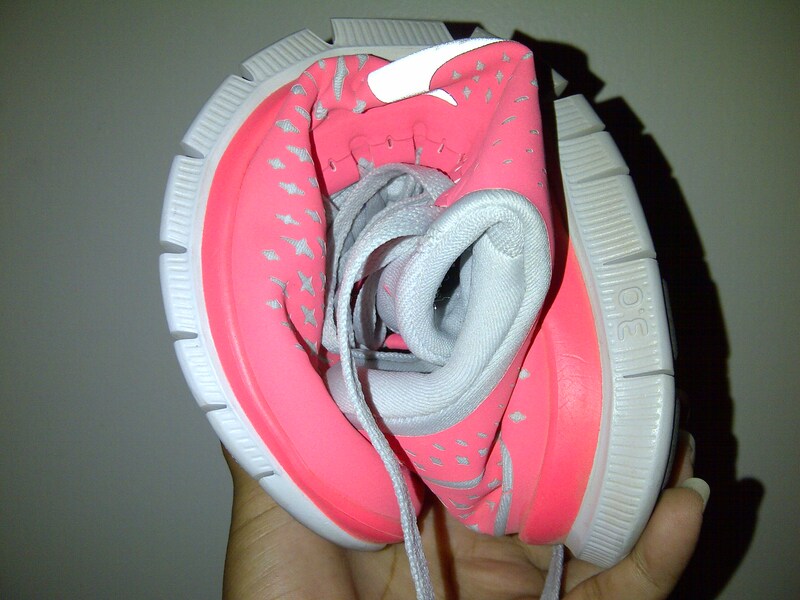 I went home with a pair of Nike frees 3.0 which has a 4mm drop. Not what I wanted, but already a HUGE improvement over the big heavy shoes I have been in before. Much less pain for my plantar fasciitis already! When I am not running, I am almost barefoot in my regular life. I can’t wait until I try something even lower in about a month or so. They are light and I love that I can move my feet in them, and they can do this… But there is still a whole lot of padding/cushion and I don’t want that so much. But they count for the challenge so YAY! I can actually move my feet and wiggle my toes for a change! 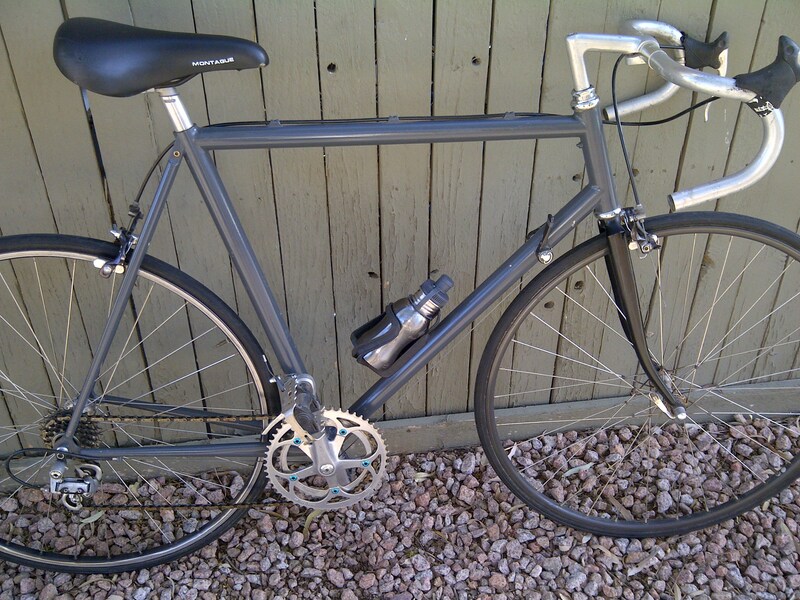 Too big, not built for a woman, total Frankenstein, but my fave bike in the current arsenal. Baker’s Dozen: I did learn my lesson after last time about leaving my stomach’s affairs in the hands of someone else; especially when that someone is addicted to donuts! I baked my own healthy cookies, which is a staple in my home. I ate one before I left, 3 on my run and it was awkward to stop and eat a cookie every mile on my ride through the neighborhood haha. Here’s the recipefor you health conscious people. It can be made with a minimum of 2 ingredients! Yes, you read right. I think you endurance athletes may like it. I have been making them for years! This batch has 4 ingredients: bananas, oats, fig pieces and peanuts. They may not look pretty, but they are tasty and good for you! Because I like to replenish my lost fluids! 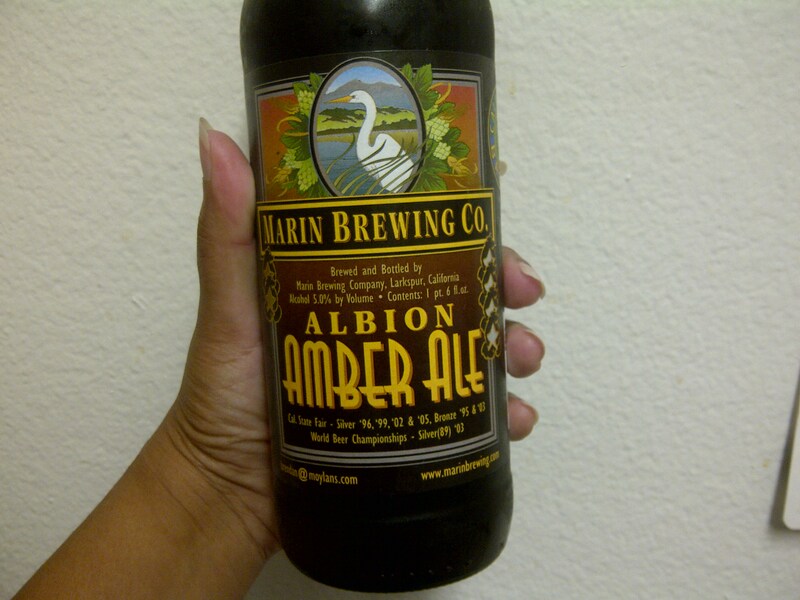 This entry was posted in Drink, Live, Run and tagged 12athon, Albion Amber ale, banana cookies, barefoot shoes, beer, cycling, endomondo, healthy recipes, Marin Brewing co., nike free 3.0 v4, recipe, running. Bookmark the permalink. 6 Responses to May 12athon – Rocked that Bi-Curious challenge! That would be awesome! Where in California are you? The shoe stores are driving me crazy. I think it’s a conspiracy since I am a heavy runner and they think I will get hurt. The big heavy shoes are hurting me!!! I am ready to buy online, but I would like to try them on first. I’m in the Los Angeles area, but am often down in San Diego as well, since I have family down there. Good job with the bonus challenges! And excellent post run libation choice.